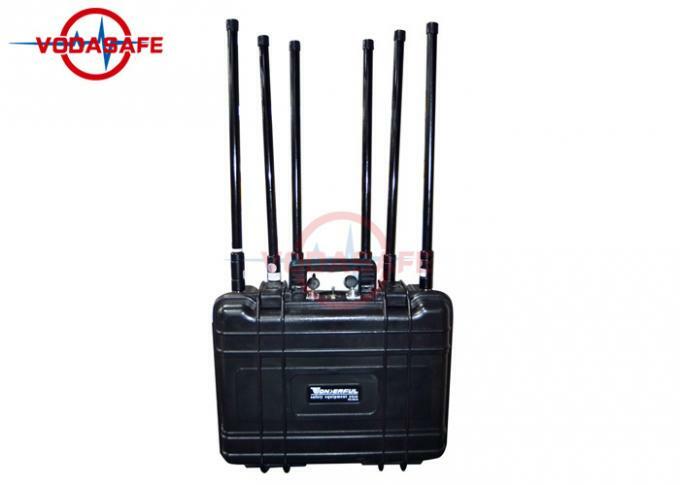 This drone signal blocker is a drone signal blocker made with Pelican outer box. It has a built-in battery and can last for 1.5 hours when fully charged. Its frequency range setting is 6 channels, the total output power is 75W, each channel is 10-15W, the shielding distance can reach 300 meters, this model is very suitable for use in the car, equipped with high gain antenna, each antenna is 5-7dbi Gain, with built-in fan, very good heat dissipation. 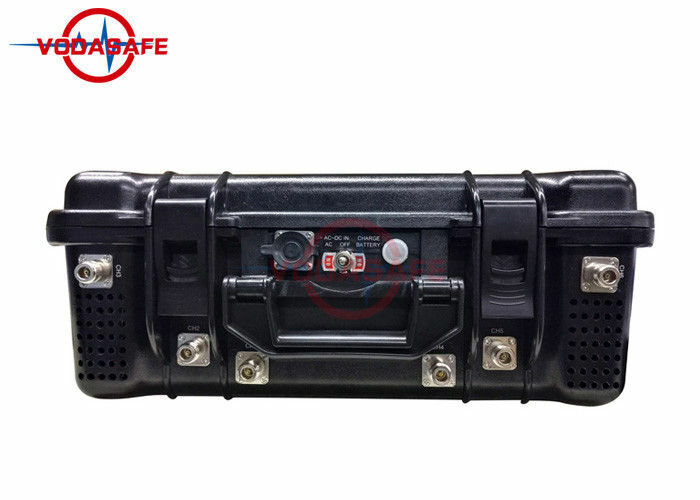 It is a vehicle-mounted drone signal shielding device, which is very suitable for portable use in other vehicles. 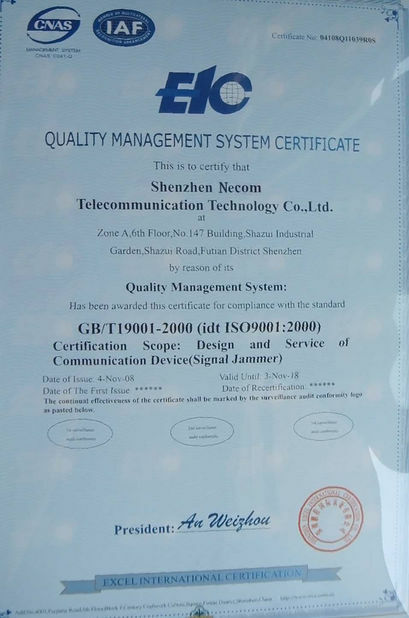 Its outer casing has good anti-fading function. 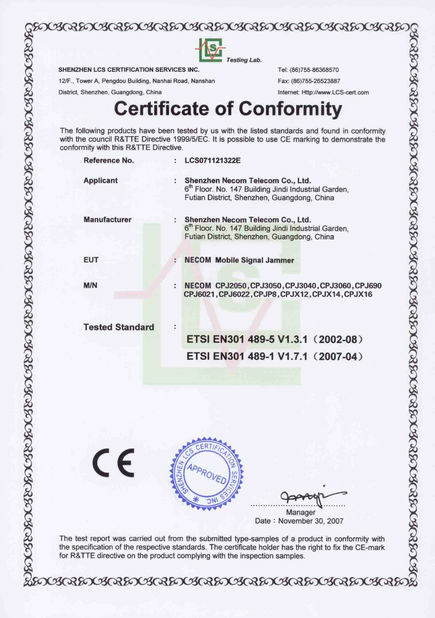 Of course, you can also choose to use while charging, support 24H/7D work.